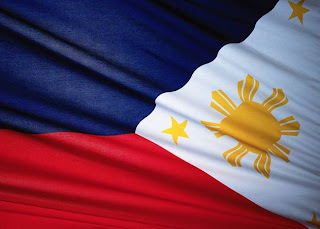 Though Madame President changed the date of Independence Day holiday I still post this on the real day of the time that our country had its Independence. As always buildings, establishment, school and houses put their flags waving in front of their establishment to commemorate the day that our Philippine flag was raised on June 12, 1898 in Aguinaldo’s House in Kawit, Cavite. Every Independence day our church was spending the holiday on a beach renting a hall and cottages to have a one-day fellowship and every June 12 we go to Villamar Resort in Rosario, Cavite because we’re comfortable with the setup there. On our way to Villamar Resort we always passed by near the place of Aguinaldo’s house but 6am onwards the police authorities there were rerouting the vehicles to have some traffic order. We only see the house and the place on our way back to Manila and as we passed by the house I’m always on a trance imagining things that happened in that house, history was my favorite subject you know that’s why I’m really interested with places, origins, events, culture and things that pertains to history.